In response to strong demand from smaller construction and property development companies who have struggled to access development finance from traditional lenders. The fund will help kick start the development of small scale property schemes throughout the North East. What is the North East LEP area? The seven local authority areas: Northumberland, County Durham, Gateshead, Newcastle upon Tyne, North Tyneside, South Tyneside and Sunderland. What are the key features of the fund? 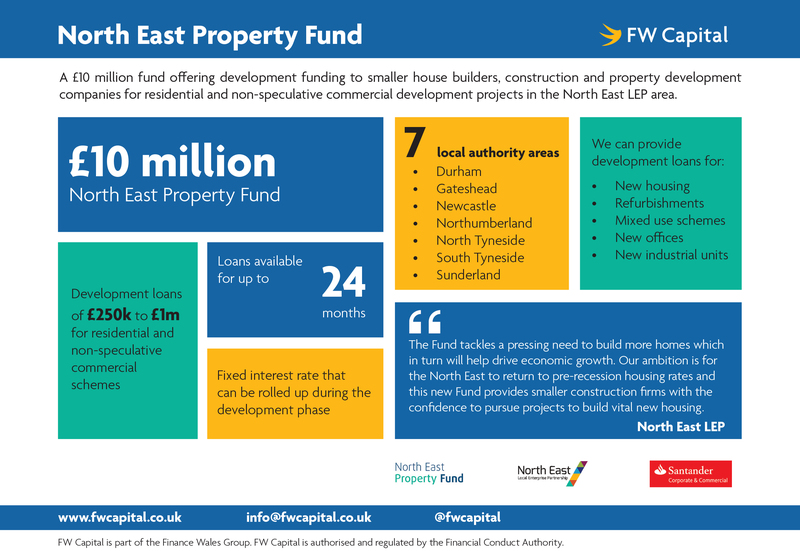 Check out the infographic below for more information on the North East Property Fund.